Crossman, E.j.. "Pickerel". The Canadian Encyclopedia, 31 July 2018, Historica Canada. 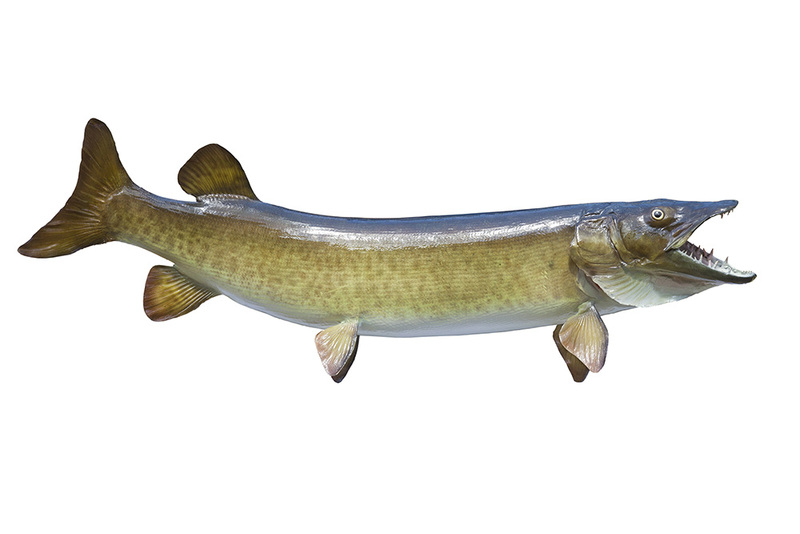 https://www.thecanadianencyclopedia.ca/en/article/pickerel. Accessed 22 April 2019. Pickerel, common name for 3 closely related carnivorous, soft-rayed freshwater fishes in the pike family (Esocidae). Pickerel, common name for 3 closely related carnivorous, soft-rayed freshwater fishes in the pike family (Esocidae). In parts of Canada, the name is applied, erroneously, to the walleye. The name is derived from an English diminutive of pike. Pickerel occur naturally only in eastern N America. 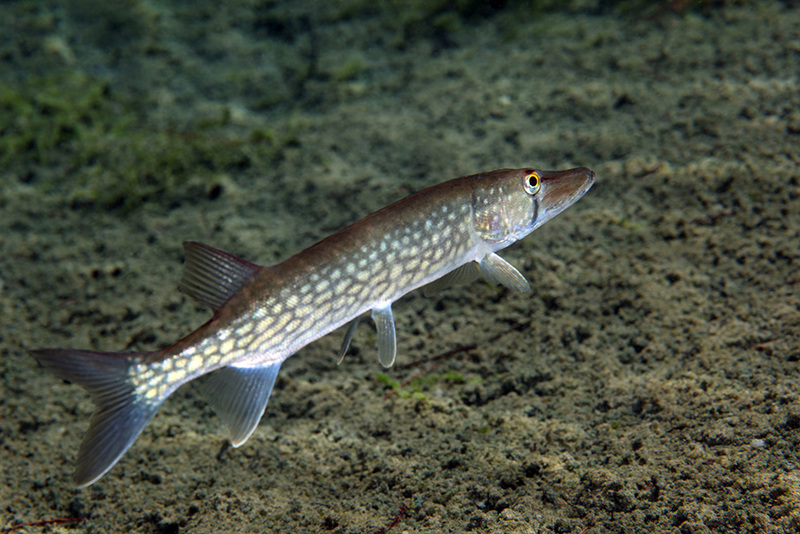 The group consists of 2 species: Esox niger, chain pickerel; E. americanus, divisible into 2 forms, redfin pickerel, which grows to 35 cm, and the slightly smaller grass pickerel. In Canada, 1 or more species occur in limited portions of the country from southern NS to Ontario, inhabiting smaller, warm waters (eg, ponds, small streams, bays of lakes). Only the chain pickerel, growing to about 50 cm long and 1.4 kg, is of any consequence as a sport fish.